The American University of Sharjah is inviting applications for Chancellor’s Scholarship Award. Newly admitted students may apply for the Chancellor’s Scholars Award which ranges from 75 percent to 100 percent of the tuition, lab and housing fees. The American University of Sharjah is a co-educational institution of higher education in the United Arab Emirates. It was founded in 1997 by His Highness Sheikh Dr. Sultan bin Muhammad Al-Qasimi, Supreme Council Member and Ruler of Sharjah. Scholarship Award: Newly admitted students may apply for the Chancellor’s Scholars Award which ranges from 75 percent to 100 percent of the tuition, lab and housing fees. 1. Entrance Requirement: Applicants must have the previous degree. The copy of high school transcripts (grades 10, 11, and 12). An essay that you have written about your aspirations and goals in life. Copies of certificates showing leadership in school and/or community and two reference letters. Original detailed and dated salary certificate signed by the authorised person and issued by the employer for both parents, and a copy of the labour contract duly stamped for both parents (International students must submit a copy of the employment contract for both parents). The salary certificate should clearly state the gross salary including all allowances and/or benefits such as education, housing, transportation, allowance for children education, bonus, etc. For self-employed persons: Audited profit and loss/financial statement for the last two to three years, a detailed original salary certificate and Statement of Shareholders current account, all issued by chartered auditors approved by AUS, must be provided. Salary certificates and audited profit and loss/financial statements must be provided in English. Translated documents must bear a professionally certified translator’s stamp and/or signature on every page and must be accompanied by the translated document in the original language. Compiled profit and loss/financial statements will not be accepted. The copy of parent(s) bank statement for the last one year where the salary is transferred regularly as per UAE Labor regulation for the year 2010 [Wages Protection System]. Certificates verifying Education Tuition Fees for all family members [as mentioned in (4)]. A copy of the rental contract for accommodation [as in (5)]. Documents regarding loans [as in (5)] and special family circumstances [as in (6)]. Passport copy (including visa page) of applicant and applicant’s parents. Any other information you consider relevant to your application. 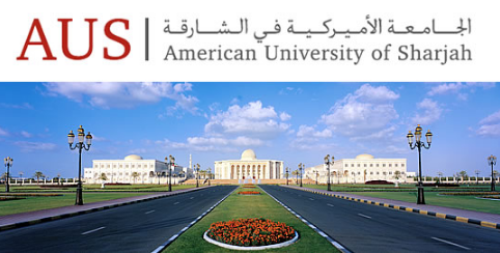 All the information about UAE Full International Scholarships at American University of Sharjah has been delivered nicely; interested and talented students who are eager to pursue their Free Tuition/Scholarships/Study in UAE (United Arab Emirates) can apply now.